I’m reposting this from 12 months ago at the time of the death of Maurice Strong as a reminder as to where all this climate catastrophism began. There must be a special place in hell for people like this. Strong as the god father of climate change right from the beginning, was in the mould of George Soros. A sinister and evil socialist capitalist. Go figure. A regular James Bond type villain with billions….Although not featured in this piece one of his most famous quotes from a 1992 interview was: “…In order to save the planet, isn’t the only hope for the planet that the industrialized civilizations collapse? Isn’t it our responsibility to bring that about? 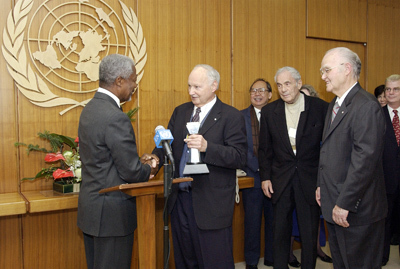 “….Maurice Strong, a self-confessed socialist, was the man who put the United Nations into the environmental business, being the shadowy-figure behind the UN secretaries general from U Thant to Kofi Annan. His reign of influence in world affairs lasted from 1962 to 2005. Strong has been variously called “the international man of mystery”, the “new guy in your future” and “a very dangerous ideologue”. Strong made his fortune in the oil and energy business running companies such as Petro Canada, Power Corporation, CalTex Africa, Hydro Canada, the Colorado Land and Cattle Company, Ajax Petroleum, Canadian Industrial Oil and Gas— to name just a few.His private interests always seemed to be in conflict with his public persona and his work on the world stage. Strong’s extensive range of contacts within the power brokers of the world was exceptional. One admirer christened him “the Michelangelo of networking”. Maurice Strong described himself as “a socialist in ideology, a capitalist in methodology”.